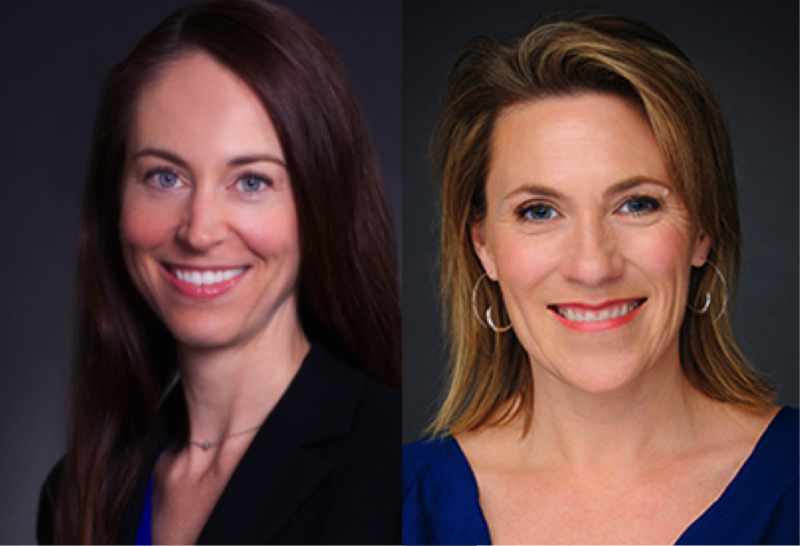 Family Office Insights sits down with Sara Brand, Founding General Partner, and Kerry Rupp, General Partner, of True Wealth Ventures to discuss their new early stage venture fund focused on women-led companies in sustainable consumer and consumer health markets. Tell us about your background and True Wealth Ventures. With three degrees in Mechanical Engineering, I have experience and expertise in what many refer to as a male-dominated industry. I received my BS in Mechanical Engineering from UT Austin, a M.S. and Ph.D. from UC Berkeley in Green Design and Manufacturing with a minor in Public Health and Energy and a Management of Technology Certification. I went into management consulting with McKinsey & Company out of the San Francisco office and focused in tech, and thereafter, moved into venture capital at Fremont Ventures also in San Francisco. I really loved the VC world and saw working in the space as the perfect blend of using my technical background to work with entrepreneurs, and my business experience to help portfolio companies. I intended to do that long term, so joined Advanced Micro Devices (AMD) – a semiconductor company that develops computer processors and other related technologies for business and consumer markets – and worked with them for nearly a decade on strategy and M&A. This is where I saw the other side of VC. I also ran several business units and got abundant operational experience. I started in Sunnyvale, CA, and then relocated back to Austin, TX, with them. I was excited about moving back to Austin, as there were very few VCs there, yet the Kauffman Foundation ranks Austin as the number one city for start-up activity the last two of three years. The funds that already existed in Texas were focused on B2B enterprise software/SaaS and some heavily FDA regulated medical devices. My husband and I started a micro-brewery in Austin after seeing the lack of craft beer choices there about 10 years ago - called (512) Brewing Company. This got me involved in another part of the ecosystem. With Whole Foods’ headquarters in Austin, I am surrounded by an innovative CPG and health culture, so I was able to gain a greater appreciation for the venture capital opportunity to address these untapped and innovative markets. I had also gotten more involved with the engineering school (and am now on UT Austin’s College of Engineering Advisory Board a well as UC Berkeley’s) and started working with UT’s new medical school where they are focusing on health care vs sick care. Kerry and I both sit on their Texas Health Catalyst Advisory Panel now that helps translate the research through commercialization into products and services to make the community healthier. Meanwhile at AMD, it dawned on me that I hadn’t met another “VC woman” ever - in Texas or from my VC days in the Bay Area. I came across a number of studies saying that when there are more women in senior leadership positions, companies do better financially. So when my network heard that I was starting a venture capital firm focused on investing in more women, l was quickly introduced to Kerry Rupp as the only other woman in VC in town, besides myself. When we met, it was apparent that our skills and backgrounds were incredibly complimentary to each other; our work ethic and like-minded vision made it so that we were a great match. I received my BA in Biology from Duke University and my MBA from Harvard Business School. Although the biology background had been irrelevant in my career for a while, it’s fun that as a VC I am now able to bring that background to bear in investments in the health technology sector. I received my MBA during the dot com hype, a time in which the world was experiencing these different business models, so it was an exciting time to be in it. My experience is varied: I have held every Vice President position ranging from Sales, Business Development, and Marketing to Strategy and Operations in startups, with the exception of Software Engineering – so I’m a skilled generalist operating at a high level. In 2010, I was brought on by DreamIt Ventures as their CEO and General Partner and led the expansion of programming from Philadelphia to New York, Tel Aviv, Baltimore and Austin, and to their ranking as a top 10 US accelerator program. Over my tenure, we launched over 150 companies, and formed partnerships including DreamIt Access with Comcast Ventures (minority entrepreneur focused), DreamIt Health with Penn Medicine, Independence Blue Cross, and Johns Hopkins University, and DreamIt Athena (women entrepreneur focused). I also led the formation of our $20M VC fund to do follow-on investing in the Dreamit companies. During this time, given my interactions with women-led companies in the program, I became aware of the issues and opportunities for these underfunded entrepreneurs. So when Sara and I connected, I was in a position to advise her regarding how to raise a $20M fund and on programming for women-led companies. It went so well working together that I decided to join her full-time at True Wealth Ventures. In addition to working on the fund, I also teach a course called (I-Corps) Innovation Corps for the National Science Foundation where we teach faculty scientists & engineers who have developed an innovation how to assess the market potential and build a business model for their opportunities. With a high percentage of teams with women solving problems in the health and environmental sectors, it’s a great unique source of deal flow for our fund. True Wealth Ventures is a new early-stage venture fund focused on women-led companies rooted in sustainable consumer and consumer health. Our investment thesis is that women-led companies perform better financially (as reported in many studies by McKinsey, AmEx, Kauffman, etc. ), yet are an untapped market since only 2% of venture dollars go to women-led start-ups and 17% to those have just a single woman on the leadership team. With women making 85% of consumer purchase decisions and 80% of healthcare decisions, there’s an additional advantage for companies with women on the management team charged with designing products for, selling to, and servicing their like-minded female customers. What are the criteria for the companies you like to invest in? True Wealth Ventures invest in women-led companies, which we define as having at least one woman of significant decision-making influence on the founding or early stage executive team. We focus on the sustainable consumer and consumer health markets which are large, high-growth, acquisitive markets, and where women are the primary consumers—and where women are especially interested in making a positive impact through environmental and human health, both in the role of the consumer and in the role of the business leader. Another big criteria we assess, is the possibility of an acquisition within the next 5 years with a valuation of $100M or more. In the sustainable consumer category we leverage the fact that 90+% of home purchase and remodels are driven by women, so we look at products and technologies for the home that are more sustainably produced, or use fewer toxic ingredients to create. This includes, but is not limited to solutions like sustainably produced building materials, eco-friendly appliances, smart windows, recycled or sustainably produced beauty and fashion products, and better packaging, as well as more sustainably sourced food & the ag tech or supply chain solutions behind it. In health and wellness, we focus on “health care vs sick care,” which includes most health-related solutions where a consumer is involved in the purchasing or use decision, such as food-as-medicine, health tech, and wellness products and solutions, with the explicit exception of any solutions requiring heavy FDA approval (e.g. no pharma, no implantable medical devices). We like to invest in Texas-based companies because there is so much untapped opportunity (Texas is the #2 state in the nation for the growth of women-led businesses) and the valuations are attractive, but we will invest in the best deals and are currently seeing 40% of our deal flow from out-of-state. We like to invest as the first institutional investors, at an early stage (usually series Seed), with first checks ranging between $250-500K, where we often take a board seat as well. Our track records and backgrounds in the industry immediately set us apart. There are only six other early stage venture capital funds across the U.S. that have a proactive gender-diversity strategy and we see them as syndication partners, rather than competitors. Impact investing can be misunderstood and a “dirty word” for VCs, but we don’t take a hit on financial return. We are using the focus on women to outperform and achieve a top tier return for the VC asset class. We have been the only fund with a gender diversity strategy focused exclusively on companies improving environmental and human health as well, and that is tremendously compelling. Four to six percent of VC partners are women, but when you look at who is making the investment decisions, it is estimated to be only about one percent who are women. We believe being female investors in a market that is proactively focused on using gender as a criterion will bring us higher financial returns. There was a recently published study in the Harvard Business Review showing that women-led startups have over a 30% greater chance of an exit when funded by women VCs. Plus, we are investing in markets where we will logically and financially outperform, because women understand them better. With women making 85% of consumer purchase decisions and 80% of healthcare decisions, there’s an additional advantage for companies with a woman on the management team when it comes to designing products for, selling to, and servicing other female customers. Being in our geography in Texas, there are some VCs mostly in B2B software space and a few in medical devices, but not a sufficient amount; and no one else is looking at sustainability, health, technology, and the consumer market like us. There is a lot of innovation but not nearly enough capital to support it. There are surprisingly no other early-stage gender lens funds in the entire central/southern part of the US, so Texas makes a great home base for this blind spot in the market given its statute as an active startup hub. The Kauffman Foundation rated Austin the #1 city for start up activity the last two of three years. What are some challenges you face in your industry? Raising a first time fund is always a challenge. Although we both have prior venture capital experience, institutional investors want a longer track record and a larger fund to write bigger checks. However, referrals have been really great for us with most of our investors to date being Texas-based because we have continued to be introduced to local investors. What we found to be interesting and unexpected was that to date 80% of our investors are women, ranging from high net worth individuals (or the woman from a couple) to decision-makers for foundations and family offices. We were never on a mission to only get female investors, but they’ve been happily coming to us. They resonate with the investment on a personal level surrounding the issues and are passionate about the financial opportunities. Although raising capital for a first-time fund is challenging, we’ve been continuously motivated by our LPs and seeing what a blind spot and obvious opportunity this fund strategy is the deeper we get into it. We are looking to invest $20M in approximately 12 companies over the next several years. To date, we have raised approximately half the fund and made our first 2 investments into Unaliwear, a smart-watch for the senior population to guard against falls and other risks, and BrainCheck, a cognitive testing platform to manage concussions and memory issues. There are 36 investors that make up the $10M raised thus far, mostly high-net worth individuals or small family offices/foundations. The minimum investment we seek is $250K for individuals and $400K from family offices and other organizations. Now that we have found traction in the market, we are targeting larger investment sizes in the $1M-$2M range; our largest single investment to date is $1M. Approximately 80% of our investors are self-made business people with successful careers, often in the industries in which we like to invest. Our ideal investors are those who see the opportunity with this market asymmetry. We’ve found that our investors love investing in startups, but usually don’t have the time to sit on boards and manage a portfolio of direct investments, or they are retired and like to bring industry knowledge and their network to the table only when they have the time and desire. We host dinner socials twice a year for our portfolio company CEOs and LPs to understand what the companies do and see where they can get help. We also have great co-investment opportunities. Family offices who do direct deals really value our unique deal flow, so they make great investors as we see a lot of deals that are not going to the traditional capital sources. Well, as a venture capital fund, our ultimate mission is to generate a top-tier financial return -- leveraging our gender thesis to do so. A study in the Harvard Business Review from this year shows that when women VCs invest in women entrepreneurs, the chance of a wildly successful exit goes up by over 30%. We like those odds! But there are also secondary impact benefits, given our focus on investing in solutions that improve human and environmental health and on increasing gender equity by investing in and advancing women entrepreneurs. And then there are the tertiary benefits: First, those that come from the future success of our women entrepreneurs. Studies show that when women have increased wealth, they reinvest it into their families’ and communities’ health, education and nutrition. And secondly, through our progress in securing a substantial number of women LPs in our fund. By 2030, women are expected to control ⅔ of U.S. investable assets, and so we need them investing in early-stage innovation to ensure the continued viability of our country’s innovation economy. We’re proud of our contributions on these fronts. We're eager to be able to focus on the business of being a VC - generating and reviewing deal flow and supporting our portfolio companies' growth to exit. Right now, we're having to juggle those activities with fundraising. Once the fund closes, we’re looking forward to having more time to connect with potential investments and grow the ones we choose. We're already seeing 10-15 deals per week without proactive effort on deal flow generation, so there’s great opportunity ahead. We are officially closing this fund at the end of January 2018, but ideally before the holidays in mid-November. Sara is an active member of the entrepreneurial ecosystem to support gender diversity (e.g., founding investor in the Rising Tide Fund, advisor to DivInc, steering committee member of Women@Austin) in the consumer health and sustainable consumer sectors (e.g. advisor to Texas Health Catalyst at Dell Medical School, mentor for CleanTech Open, judge for Food+City) and as an active speaker and writer on the topic. Sara holds a Ph.D. and M.S. in Green Design and Manufacturing, a minor in Public Health and Energy, and a Management of Technology Certification from UC Berkeley where she currently serves on the Mechanical Engineering Department’s External Advisory Board. Dr. Brand also holds a BS in Mechanical Engineering from UT Austin where she now serves on the Cockrell School of Engineering’s External Advisory Board and currently acts as Senior Advisor for Health IoT to UT’s new Dell Medical School to foster health technology innovations across industry, academia and community. For more information, please reach out to Sara at sara@truewealthvc.com. For over 20 years, Kerry Rupp has launched, developed and grown startup companies and new lines of business for established firms. As CEO and General Partner at DreamIt, a Top Ten US startup accelerator and early-stage venture fund, Kerry was directly involved with the launch of over 150 companies. During her 5-year tenure with DreamIt, she grew its programs to five cities, raised a $20M follow-on fund, and initiated the DreamIt Access (minority entrepreneur), DreamIt Athena (female entrepreneur), and DreamIt Health programs. DreamIt companies in aggregate now have a market value of over $1B. Before DreamIt, Kerry was herself the founder of an online travel service, Holiday Golightly, which organized unique group travel excursions for women. She has also advised senior executives at Allrecipes.com, ReadersDigest, LexisNexis, Payscale, and Taleo on strategy, business development and marketing. Kerry began her career as a consultant with McKinsey and Andersen Consulting (now Accenture). 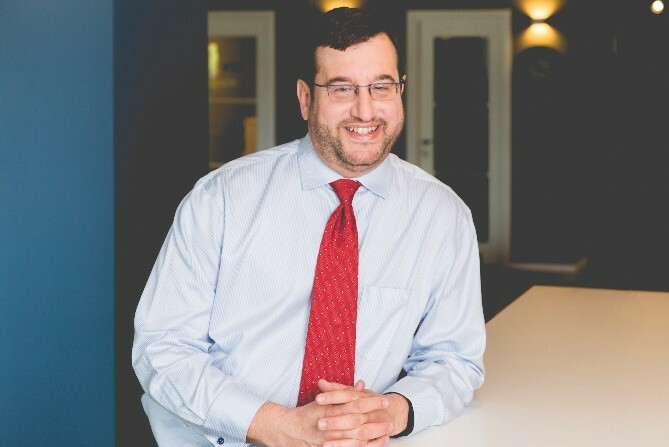 In addition to consulting, Kerry serves as a mentor at Capital Factory and International Accelerator and on the advisory board of Medical Innovation Labs, a platform for commercializing innovations in the medical device field. Kerry holds an MBA from Harvard Business School and a BA in Biology from Duke University. Kerry volunteers on the leadership teams of Women@Austin, The Angel Forum, and the Austin chapters of Harvard Business School Alumni Club, Harvard Business School Alumni Angels and the DukeGEN Global Entrepreneurship Network. Kerry is also a judge or coach on many local and national start-up competitions (e.g., athenahealth, Harvard Business School, Rice University Business Plan Competition, TiE Texas, Energizing Health Houston, Texas Venture Labs, AARP Health Innovation). She is also a nationally-certified instructor for the National Science Foundation’s Innovations Corps (I-Corps) program. Kerry is also an avid adventurer that has visited over 50 countries and 49 US states. For more information, please reach out to Kerry at kerry@truewealthvc.com.